It won't have escaped the attention of many London pub-goers that the city has experienced something of a beer renaissance over the last decade. Some observers adopt even stronger hyperbole, referring to it as a revolution. 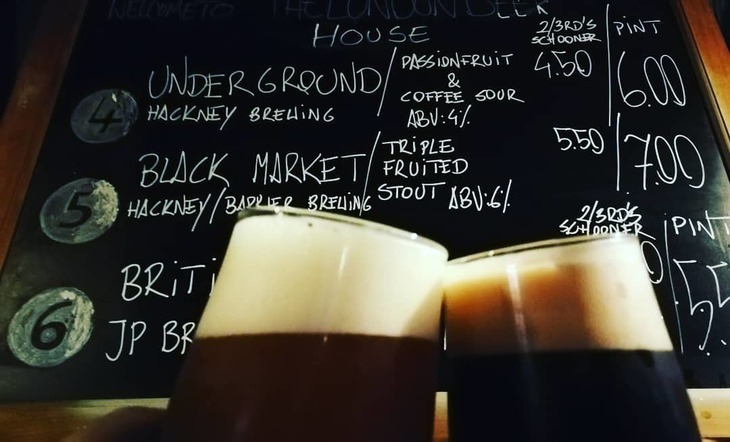 Either way, we've seen a healthy surge in the popularity of non-mass-market beers in London. We've developed a hankering for mouth-puckering sours and goses, unctuous chocolate stouts and porters, earthy saisons and wheat beers — and frankly weird concoctions that we buy in thirds, to show off to our mates. 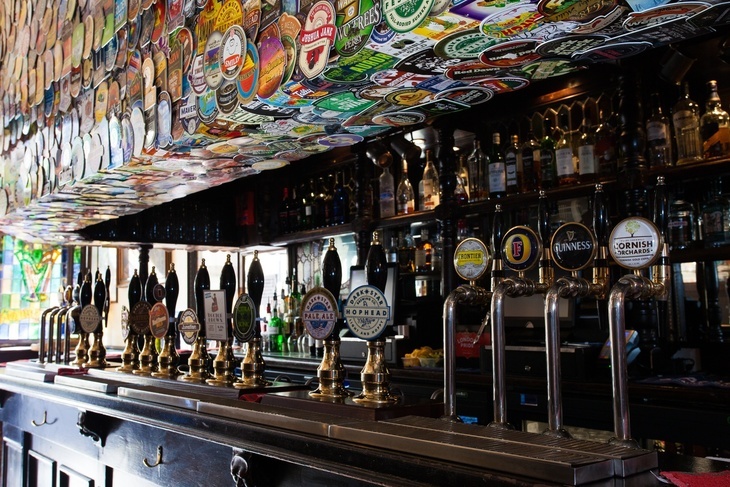 But among the ever-increasing number of pubs serving craft beer, which, if any, are the best? To an extent, that’s an impossible question to answer. With so much choice, and new or newly-revitalised pubs opening every week, how can we decide which is the ‘best’ for craft beer? And what do we even mean by ‘craft beer’ anyway? Actually, it doesn’t matter. We could spend ages getting bogged down in technical definitions about exactly what does and does not constitute a good craft beer pub, but doesn’t that go against the whole ethos of enjoying great beer in a nice pub? 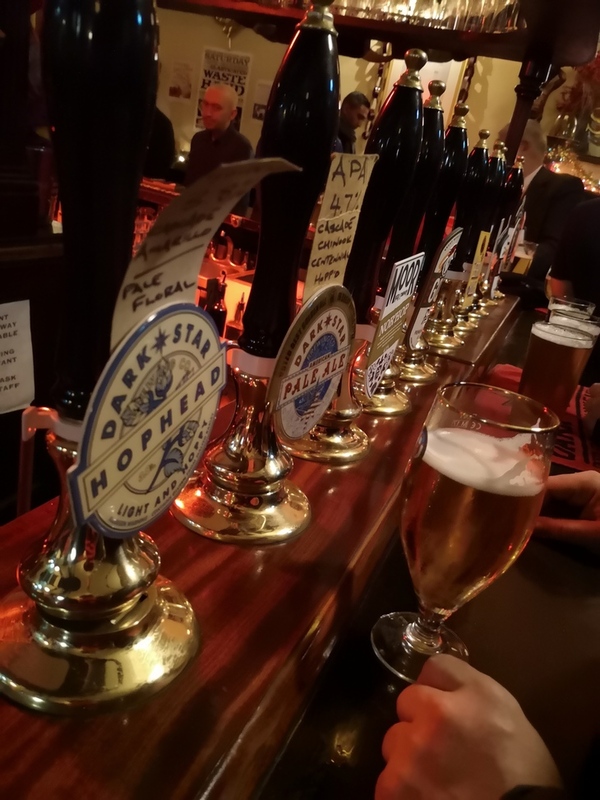 A pub that strives to serve a regularly-changing selection of high-quality beer, from a variety of independent brewers, in an enjoyable drinking environment, is a place we go to escape the tedious business of having to pigeonhole everything according to precise criteria. 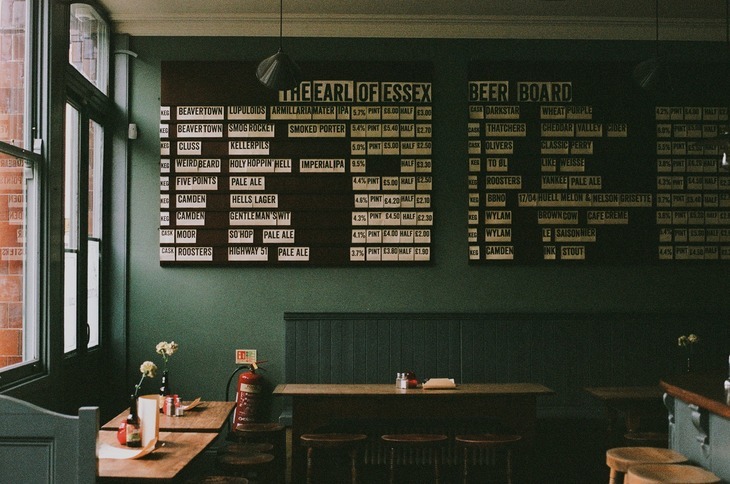 Here then, we present some of our favourite places for drinking beer. Whatever your preference — well-conditioned cask ales, powerfully-hopped juicy IPAs, hybrid lager styles, or the epitome of continental beer-making — you’ll find something to wet your whistle in this selection of fine watering holes. Before Craft, there was Cask. No, that’s not a reference to traditional versus modern beer styles; we’re talking about pub names — specifically the older cousin of the Craft Beer Co chain: Cask Pub and Kitchen in Pimlico. In 2009 Cask set the course that Craft Beer Co would follow a couple of years later. Built into the structure of a blocky 1970s council estate in Pimlico, Cask is easily overlooked. But its inconspicuous entrance conceals a surprisingly bright, airy and spacious interior. And it gets better, with a bar housing 10 cask-conditioned ales from the likes of Magic Rock, Vocation, and Blackjack, and 15 keg taps dispensing a similar, but occasionally more adventurous, range. Behind the bar, several full-height fridges of beer from the UK, Europe, and the US provide a vast further variety of fermented goodness. These fridges are essentially glass-doored portals into Booze Narnia. Soak up your beer with a posh burger or a roast on Sunday. There are few better places to spend a winter afternoon, as the setting sun casts its light through the pub’s tall, narrow windows — and a jazz quartet strikes up. See also: the Craft Beer Co pubs in Clerkenwell, Islington, Old Street, Limehouse, Covent Garden, Brixton, and the City. Situated down an alleyway a stone's throw away from Old Street tube station, this branch of the Draft House chain is our favourite (it is, after all, where we sometimes go for post-work drinkies). Unconventionally housed in what seems to be a large concrete box at the base of a newly-constructed high-rise office, the space is kitted out with a combination of the Draft House’s trademark neon tubes, exposed ducts, wood, and wire caging, while the inclusion of moquette-clad furnishings underlines that stone's throw to the tube station we mentioned. The beer selection is well curated, with the best part of 20 beers available on draught (mostly keg, with a handful of casks) representing a decent variety of styles, as well as a very handsome selection of beers from Belgium and elsewhere in the large fridges behind the bar. The food menu complements the beer selection, with chicken wings and burgers providing ample munching options. Some of it comes served on a bin lid, because east London. 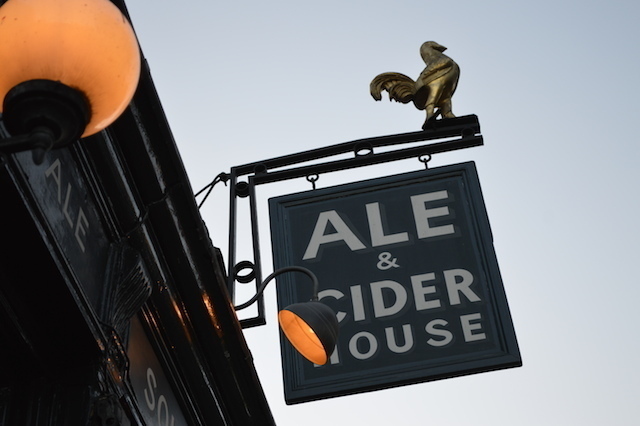 See also: a dozen other Draft House locations dotted around London. Jerusalem Passage — a short and easily-overlooked alleyway connecting the edge of the not-very-green Clerkenwell Green and the north side of St John’s Square — houses a few restaurants, a co-working office and that's about it. Oh yes, and a Belgian bar called the Dovetail. And oh my, the Dovetail. You could certainly just pop in for its Belgian comfort food (think moules frites and Flemish beef stew), but the stand-out offering here is the exceptional beer list. Several taps dispense a good range of popular Belgian beers into a satisfyingly comprehensive inventory of appropriately-branded/shaped glasses, but the real action comes from the fridges. 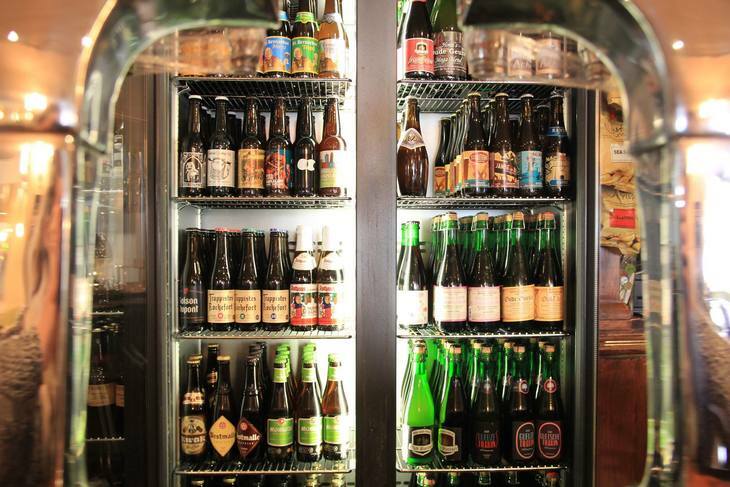 More than 100 bottles, covering a variety of Belgian beer styles, come listed in leather-clad menus — psalters for beer drinkers, in which every line is another tasty tribute to the god of Belgian brews. The selection rivals (and generally exceeds) pretty much any other London establishment for such a pronounced collection of trappist, lambic, flanders, blonde, amber, dubbel, tripel, quadrupel, red, saison and fruit beers. 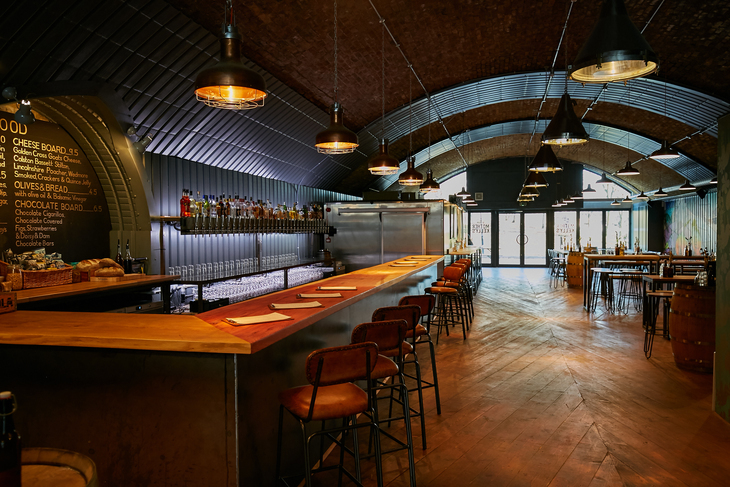 The pub’s interior is on brand, with tiled walls giving way to wooden monastical motifs, and a tight layout of tables and chairs making the most of the economically-proportioned space. Framed Tintin posters round off the theme nicely, making you feel like part of the EU again. See also: sister pub The Dove on Broadway Market, or the Beer Merchants Tap in Hackney Wick. We'll always remember our first visit to the Wenlock Arms. A 15-minute stumble through cold January drizzle into an increasingly bleak wasteland north of Old Street tube station eventually brought us to the door of this venerable old boozer, just as we had started to seriously mistrust our directions. As we walked in, we were greeted by a cheerful old chap wandering around with a metal bucket, urging the handful of mostly-local clientele to 'bring out their dead'. Nobody batted an eyelid, of course. Eccentricities aside, it rapidly became clear that this was an unfussy, traditional, and only slightly grubby old pub, with a strong focus on serving a regularly-changing selection of real ales, all in excellent condition. Fast-forward a decade, and the wasteland approach is marginally less bleak, while the pub’s interior is rather less grubby. However its comfortable, relaxed atmosphere remains, as does its dedication to serving quality beers (now 10 casks and 20 kegs). It's also started brewing its own beer in the cellar, under the Block Brewery name. The pub’s beery excellence has not gone unnoticed, winning CAMRA’s North London Pub Of The Year award five times between 1995 and 2017. See also: The Old Fountain, much closer to Old Street tube station. If you ever need visual proof of how space is at an absolute premium in the City, look no further than the Arbitrager. Essentially laid-out as a short corridor with a bar at the end, the pub only makes a cursory nod towards the concept of seating, with most of its customers invariably concluding that this is a place where you drink standing up. For a beery pit-stop in the middle of the Square Mile, this is a refreshing option. Friendly staff (and sometimes clientele) will talk you through the selection of 12 keg taps, dispensing beer (and occasionally a cider) from London-based craft brewers, served in ⅓ or ⅔ measures. For the beer-averse, a large array of London-made gins line the shelves. Snazzy tiling, exposed light bulbs, and a large mirror give the space an upbeat vibe, and a large historical map of London is printed on one of the walls, adorned with stickers denoting notable beery locations. A great place to kill a little — or a lot of — time. See also: Williams Ale & Cider House, also near Liverpool Street. Another supremely compact drinking-hole, the diminutive London Beer House is incongruously nestled at the north end of Royal Opera Arcade — one of those rarified Georgian shopping arcades dotted around this part of London, where you could imagine Beau Brummell shopping for tights. The ground-floor premises might only accommodate a couple of dozen drinkers, but the space has been used judiciously, with nine keg taps and a couple of fridges behind the bar, and storage shelving for bottles doubling up as seating for those in need of it. This all contributes to a pleasantly makeshift 'micropub' appearance — repurposed wood and boxes house the beer taps and provide some rudimentary shelving along a couple of the walls, while a perilously narrow staircase winds its way up to a further small seating area and a characteristically modest single-occupancy toilet. Don’t visit for glamour or comfort, but do pop in for a charming oasis in what is otherwise a rather barren neighbourhood for decent brews. See also: one of London's many other fine micropubs. We once asked Michael Caine if he knew about this place. Alas, he did not. 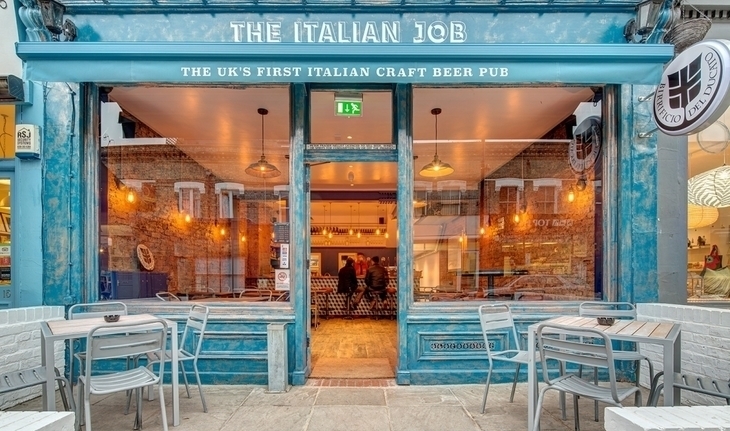 Despite the oft-noted excellence of the Italian craft brewing scene, good Italian beer often seems rather under-represented in London’s craft beer pubs. Thankfully the Italian Job, a bright and cheerful café-like space just off Chiswick High Road, goes some way towards redressing this imbalance. The pub’s 12 taps showcase a versatile variety of beer styles from Italian brewers, with a pronounced emphasis on beers from Birrificio del Ducato — a Parma-based brewery co-founded by one of the founders of the Italian Job itself. Alongside the Italian brews are a handful of well-chosen beers from mostly London-based brewers, while a cider from Scotland’s Thistly Cross also makes a regular appearance. As befits an Italian pub, decent-quality food is also on the menu, with cheeses, cured meats and olives among the snacking options, alongside a variety of well-accomplished burgers for those with a greater hunger. There's a TV too, should you wish to watch the rugby without being barged around by sports fans. See also: a larger sister pub in Notting Hill, and a bar at Mercato Metropolitano, near Elephant and Castle. On our first visit to the Southampton Arms, several years ago, we ordered an ale that was deliberately and vividly green in colour, served in a dimpled pint mug. We’re still not sure what that was all about. It actually tasted quite good, despite its visual resemblance to washing-up liquid. That's how good this place is. A refurbished and revitalised incarnation of an old-fashioned boozer, the Southampton Arms has managed to retain a relaxed, local feel, even at busy times. A dozen hand pumps on the bar are mostly used to dispense cask ales from independent UK brewers, and six further pumps behind the bar offer ciders. There are also a couple of keg taps, serving non-cask-conditioned beers. Food offerings seem to mostly revolve around pork — ranging from packets of scratchings (of course) to meat from a roast joint. The pub's location, awkwardly between Kentish Town and Gospel Oak stations, might be mildly inconvenient for some, but once you're there you'll be happy to hang around for a while. Especially if you like pub cats. See also: Tapping The Admiral, the other side of Kentish Town. Locally brewed ale, and a juicy pork roast. The Queen's Head is one of those pubs whose minor ergonomic challenges tend to work slightly in its favour. 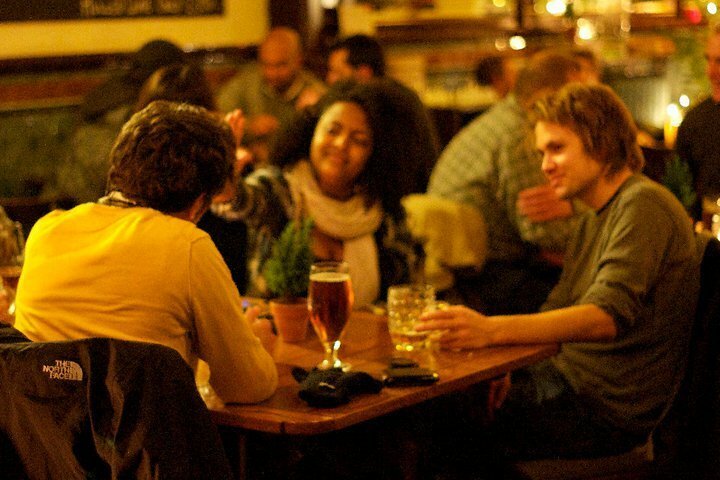 Sure, finding an entirely comfortable drinking (or ordering) space can be a bit awkward at busy times, but here it seems to add to the place's pleasantly bustling atmosphere. This is another pub to have gained CAMRA's public approval, though curiously not for beer — the bearded ones have actually declared the Queen's Head to be a great place to drink cider. Don’t worry if cider is not your beverage of choice — despite its apple-oriented accolades, the pub’s main booze offering is beer, served from a dozen keg taps and a handful of cask pumps, alongside some great options in the fridge. It also stocks a fine selection of whiskies. Food is of the things-to-nibble-while-drinking variety – bread, cheese, cured meats, pies and suchlike. If you've a while to wait for your King's Cross train, while it away here. See also: sister pub Simon the Tanner in Bermondsey. Given its slightly off-the-beaten-track location in the residential back-streets between Angel and Canonbury, it's surprising how lively The Earl of Essex can get. At popular times beer geeks flock from far and wide to hang out here. Why? Well for a start the beer selection is not just excellent, it's also rather interesting, often comprising beer from a number of brewers who tend not to feature that heavily in London's other craft beer pubs, as well as its own in-house brew and some more familiar names (Camden Town, Magic Rock, Thornbridge, etc.). Half the fun here is standing, hands on hips, and admiring the beer menu that covers one entire wall. The food is entirely agreeable, focused more towards the gastropub audience than those looking for simple pub grub, and the woody, bright décor is immediately comfortable. Combine all this with a nice little beer garden at the back of the premises and you can begin to understand this pub's appeal. See also: The Island Queen, just around the corner — a boozer dripping in big mirrors and old colonial grandeur. There is a phenomenon in Stormbird that we refer to as The Magic Table. However busy this contemporary Camberwell boozer gets (and it does), a lone table miraculously appears. 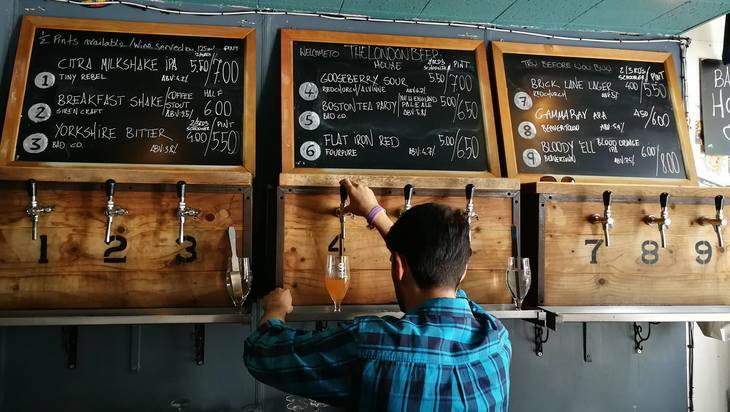 Perhaps the real magic, though, is the beer selection: an array of pumps — most with cute, hand-drawn beer clips — runs with a constant supply of juicy IPAs, knock-out strength porters and usually a sour or two. Kernel, Mikkeller and Moor are among the usual suppliers, but you never quite know what you're going to find in this wonderland of brews. Cask-heads are well catered for, with a choice of three or four well-priced numbers, while fridges brim with myriad exotic concoctions. Gaze out the huge windows with your brew of choice in one hand and a falafel from next door with the other, while watching buses and ambulances whiz and up down Camberwell Church Street. Magic. See also: its family-friendly sister pub in Bromley, the Star & Garter. This rambling pub on Parson's Green is somewhat notorious for the perceived nature of its clientèle, earning it the nickname 'The Sloany Pony'. While there's some truth in this perception, not all of the pub's customers are 'gap yah' types, and the selection of beer on offer is certainly beyond reproach. 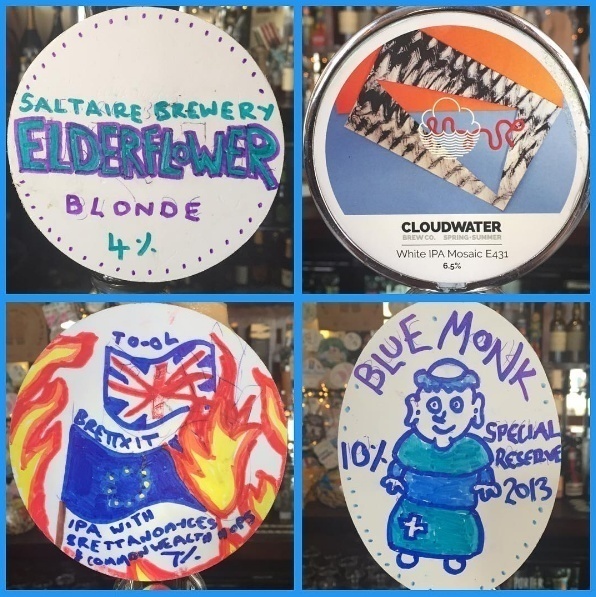 With a wide range of cask and keg ales from a variety of UK and European brewers, as well as some big (and sometimes expensive) American craft beers, there's enough variety here to keep an eager beer drinker entertained for some time. The pub further cements its beery focus with regular festivals (including a rather excellent annual American beer festival around Independence Day) and a conspicuous tank of wonderful, golden, unpasteurised Pilsner Urquell. See also: the Bricklayer’s Arms, a much more humble and cosy proposition, just across the river in Putney. 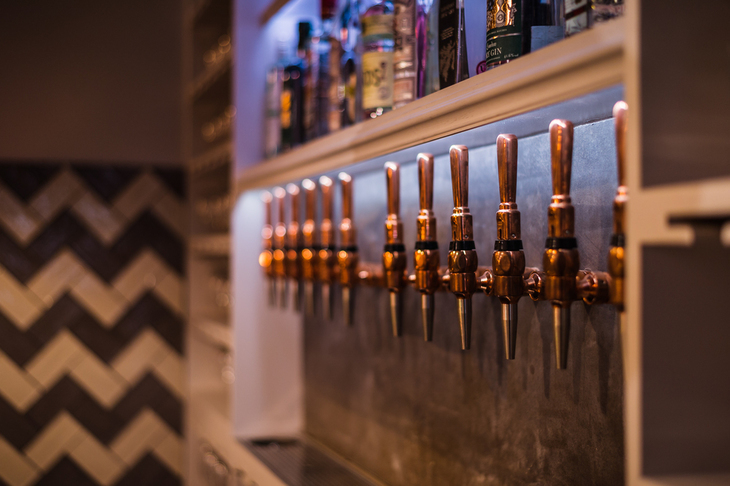 Housed in what must be one of the most unusual pub premises in London, the Euston Tap works hard to make the most of a rather challenging space. The Grade II listed nature of the old Portland stone cubes in front of Euston Station, combined with the pub's popularity since it opened in 2010, means it's sometimes usually hard to find much space within. That said, while the main premises reside in the western stone cube, the mirror-image ‘east lodge’ on the other side of the station’s access road also tends to open its doors at the busier times of the week, essentially doubling both the space and the beer available. 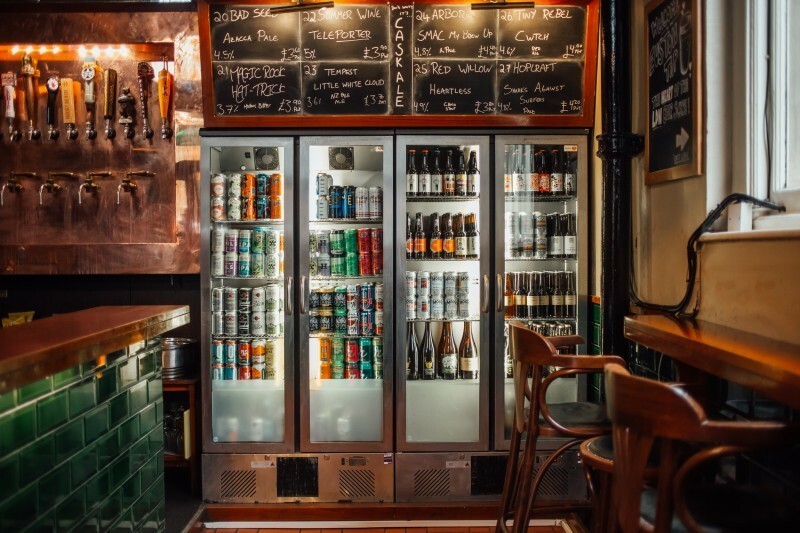 When both bars are open, the Euston Tap dispenses as many as 47 different beers from keg (often pricey) and cask (more modestly-priced), alongside a formidable selection of bottles and cans from the fridges that flank the bar. The unique buildings housing the Euston Tap lend a certain cramped charm to drinking therein, although this is tempered by the almost perpetual drama that seems to befall the over-subscribed toilet facilities. On more than one occasion we’ve found it quicker, and less stressful, to nip over to the public loos in Euston station. 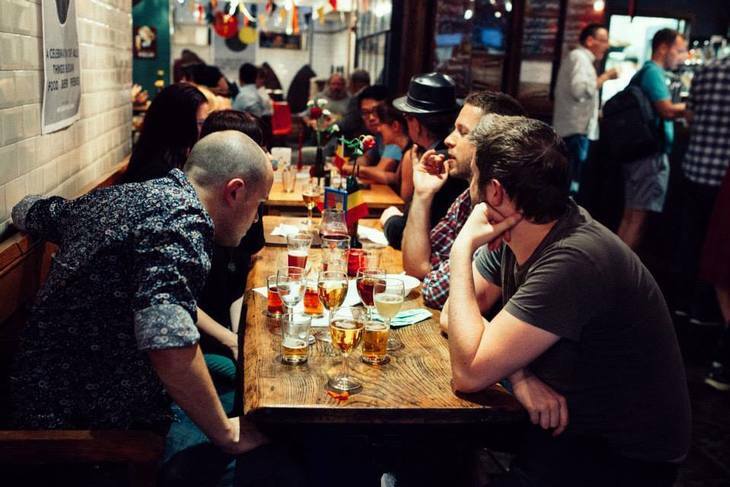 Still, if you pick a quiet time, or don't mind sitting at the tables outside (looking out over a glorious vista of the traffic jams on Euston Road), you can often avoid the crush and enjoy an immense selection of craft beers in some rather unconventional surroundings. Almost enough to make you want to forget your impending trip to Coventry. See also: The Rake in Borough Market, another minuscule pub, with barely enough room to swing a bottle of lambic. Situated slap bang in the middle of the West End, this pub was never going to be quiet. 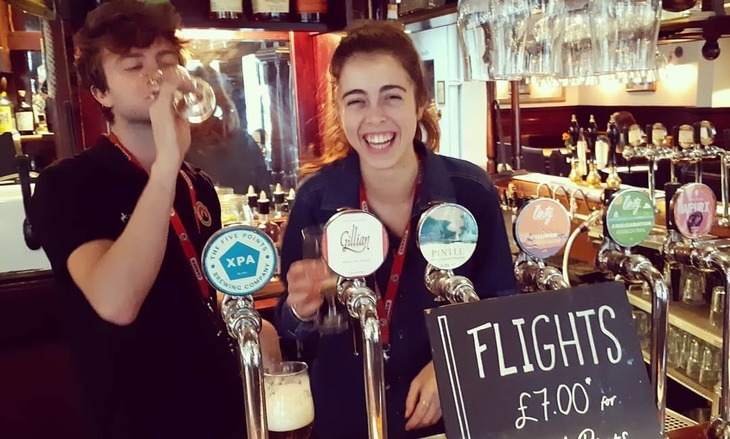 And once you factor in the high quality of its beer – predominantly of the cask-conditioned variety – and the efficient and friendly welcome from its staff, you can see why it's popular for more than just its location. 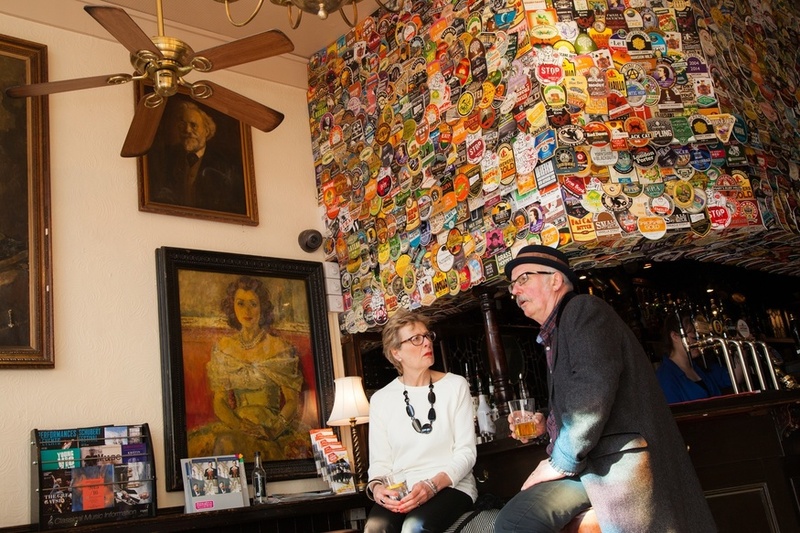 Adding to its general acclaim is an impressive list of beer-related awards, the pinnacle of which is undoubtedly CAMRA's National Pub of the Year in 2010; the massive real-ale-loving organisation essentially considered it to be the best pub in the country at the time. The pub’s acquisition by Fuller’s in 2014 has not dented the pub’s character, or had any significant effect on the variety of beers served. Phew. This all contributes to The Harp's relentless busyness, so this might not be a sensible destination for the weary-of-foot, who would rarely be guaranteed a seat. Some respite from the (generally affable) crowd can sometimes be found in the surprisingly elegant upstairs room, but in general it's best to only visit this pub if you're happy to drink your excellent ale vertically. See also: The Hope in Carshalton — a village-style boozer, stocked with exciting casks — and surprisingly hip kegged and canned numbers. 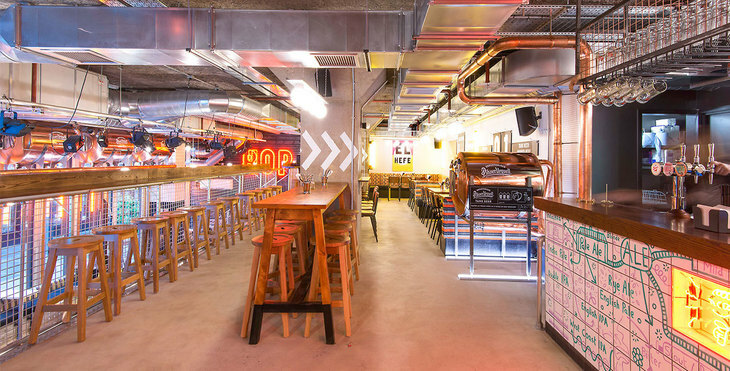 Inspired by the tap rooms of New York, Mother Kelly's is one of London's most mouth-watering craft beer experiences. 20+ taps cover everything from London stalwarts (Brew By Numbers, Orbit) to guest takeovers from breweries like Põhjala in Tallinn. Have your mind broadened with bourbon oaked tripels and strawberry berliner weisses. (There are some interesting ciders too.) You can also peruse the numerous fridges that make up an entire room; this even features a decent range of non alcoholic brews. Beers shift so quickly at Mother Kelly's, it's not unusual to have your menu swapped for a new one while you drink. That's what we call on the pulse. See also: the sister pub — also beneath arches train arches — in Bethnal Green.